With 3,100 horsepower it's pretty much a hypercar for the ocean. 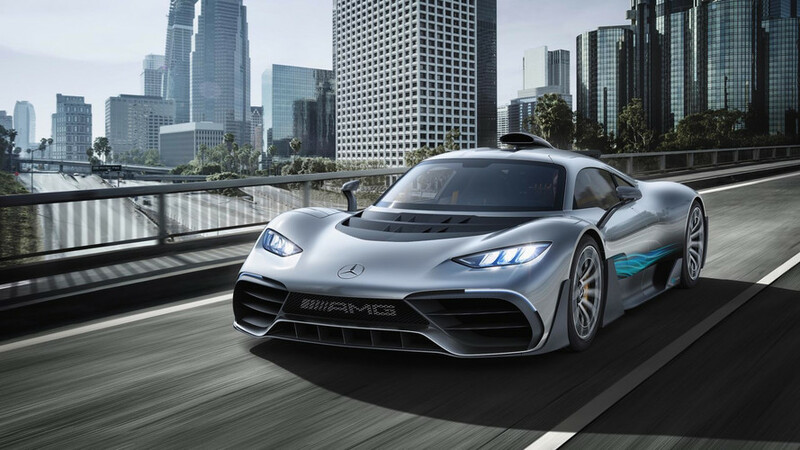 Last week Mercedes-Benz dropped an AMG Project One teaser. 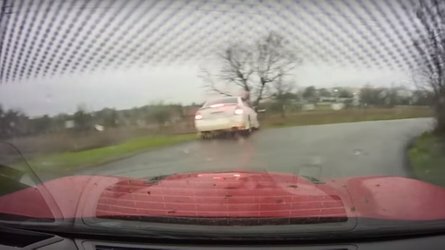 Normally when we see those three magic words we snap into awesome hypercar overload, but this time things were a bit different. For starters, the teaser wasn’t for a car at all, but a boat. Not just any boat mind you – a Cigarette Racing offshore powerboat that’s “inspired” by the incredible Mercedes-AMG Project One. We’ve now been given full disclosure on this beast, and we’re very happy to report this isn’t another seagoing yacht with an automaker badge and no real swagger. This thing is over 51 feet long, it’s packed with carbon fiber, and it’ll do 140 mph (225 km/h) . . . on water. 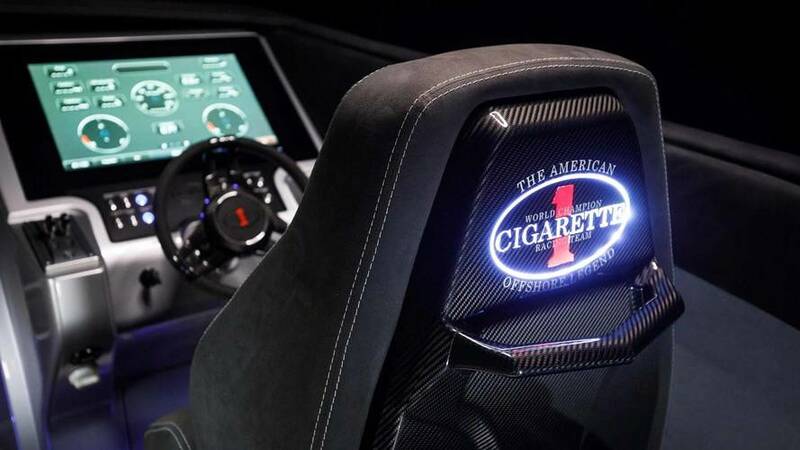 It’s called the Cigarette Racing 515 Project One, and before you ask, no it doesn’t have the hypercar’s insanely high-revving engine. 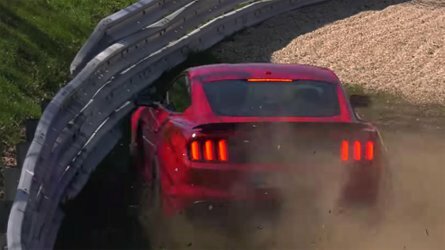 For that fact it doesn’t share anything with the car save for serious speed and AMG branding, and honestly, that’s just fine with us. There’s no way this boat would get anywhere near 140 mph with the Project One’s measly 1,000 horsepower, which is why this water-borne Project One wields a pair of Mercury Racing quad-cam V8 engines that make 1,350 horsepower (1,006 kilowatts) each. 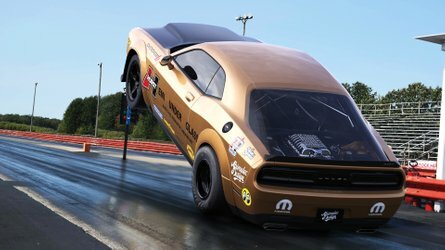 Mind you, that’s on the pleasure setting using 91 octane fuel – to hit the 515’s top speed requires the Race Key and a tank of race fuel, which pushes horsepower from each engine to 1,550 (1,156 kW). That’s a total output of 3,100 hp (2,312 kW), so yeah, we’d say this boat has absolutely earned its Project One name. The 515 Project One is more than just a pair of crazy engines, however. Extensive use of Kevlar and carbon fiber make this hyperboat 5,000 pounds (2,268 kilograms) lighter than Cigarette Racing’s 41-foot SD GT3 offshore boat, while being over 10 feet longer. 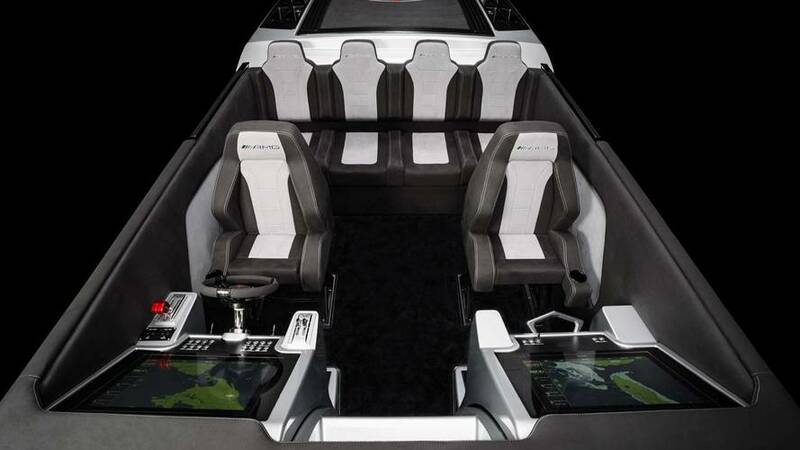 It has a larger beam than a similarly-sized 50-foot Cigarette Marauder, allowing it to accommodate six passengers comfortably, or at least, as comfortable as one can get going deep into triple-digit speeds on the ocean. Cigarette Racing says it’s the most impressive boat the company has ever built, and from our vantage point we’re inclined to believe them. 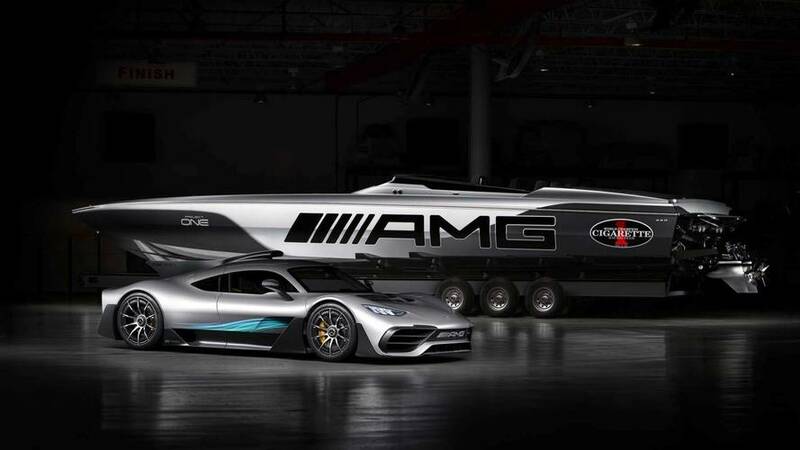 Mercedes-AMG and Cigarette Racing have actually partnered on AMG-inspired high-performance boats for 11 years. 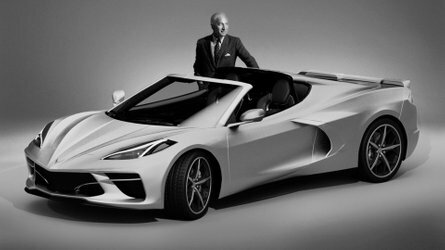 The 515 Project One is the latest chapter of that partnership, which is being celebrated with the unveiling of this crazy-fast machine at the 2018 Miami International Boat Show, running February 16 – 20 at the Miami Marine Stadium Park & Basin. 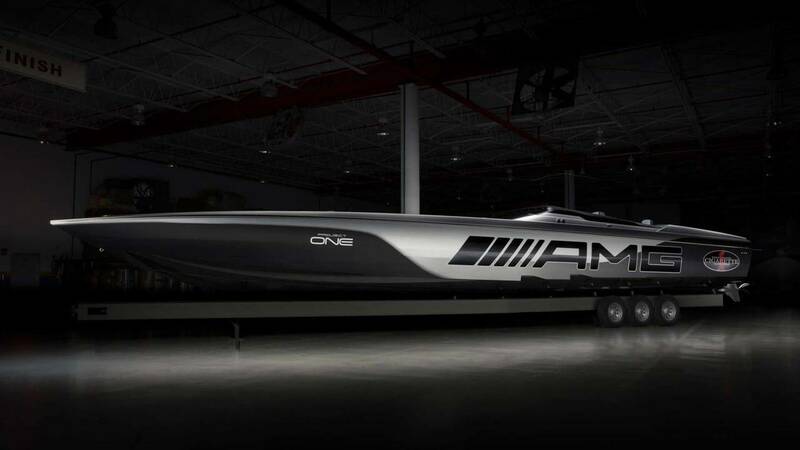 Miami, FL –Mercedes-AMG and Cigarette Racing are proud to mark 11 years of collaboration with the debut of the most impressive and innovative performance boat ever constructed by the iconic Miami-based boat manufacturer. Designed from the ground up using the latest technology and methodologies, the Cigarette Racing 515 Project ONE was inspired by the highly anticipated Mercedes-AMG Project ONE supersports car. the edges of framing for its extreme toughness properties. seatbacks constructed of exposed-weave carbon fiber. fuel. The Pleasure key fob is used for operating at 1,350 hp with 91 octane fuel. 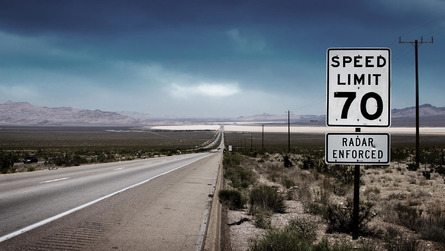 and reach 11,000 rpm, which is currently unique for any roadgoing vehicle. High Performance Powertrains in Brixworth, England.